Our opening concert features four exceptional young soloists, winners of the 2016 North York Music Festival concerto class competition: Duncan McDougall – violin, Kyoko Kohno – piano and Aled & Matisse Blundell – trumpets who will be offered the opportunity to perform accompanied by a full orchestra in what could become a key step in the development of their career. The orchestra will also perform the Symphony No. 8 by Antonin Dvorak in G major, Op. 88, one of the best-known compositions in romantic repertoire and the most frequently played of Dvorak's symphonies, a musical piece of cheerful and optimistic character that fits with the start of a new season for the orchestra. 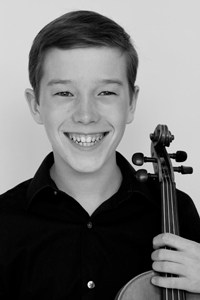 14-year-old Duncan McDougall started violin lessons in Uxbridge, Ontario, at age 4. He now studies with Kelly Parkins-Lindstrom in the Taylor Performance Academy at the Royal Conservatory of Music where he has performed in master classes for Jonathan Crow, Jeff Nuttall, Erica Raum and Mark Fewer. He has received first place awards and scholarships from the Rotary Burlington Music Festival, Toronto Kiwanis and North York Music Festivals, and the OMFA Provincial Festival. With his string quartet he received the Southern Ontario Chamber Music Institute award to attend the Szekely/Rolston Young Musicians Program at the 2016 Banff International String Quartet Competition in Banff, Alberta. Duncan is also an accomplished fiddler, winning several age group championships, including the 12 and under category at the Canadian Open Old Time Fiddle Championship in Shelburne, Ontario. He was invited to perform in the Canadian Grand Masters Fiddle Competition Junior Showcase in August 2016. Duncan is very grateful for the opportunity to perform with the Greater Toronto Philharmonic Orchestra. Kyoko Kohno is 17 years old and is a grade 12 student at Richmond Hill High School. Before moving to Canada 3 years ago, she has lived in Los Angeles, Tokyo and San Francisco. She is a piano student at the Taylor Academy at Royal Conservatory of Music in Toronto. 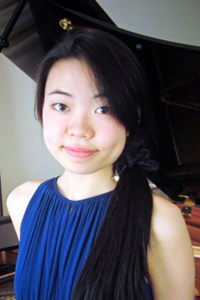 In past summers she has participated in the John Perry Academy Summer Festival for three consecutive years, Boston University Tanglewood Institute, Music of the West MERIT Program, The Colburn School Summer Piano Festival, Summer Music West at SFCM, among others. Recently she has received first prizes in the CCC Piano Competition, the North York Music Festival, and was a prizewinner and finalist at the OMFA Provincial Finals. This summer she will attend the Banff Centre Piano Master Class Program in Banff and Internationaler Klaviersommer in Cochem, Germany. She currently studies with David Louie and plays occasionally for John Perry. 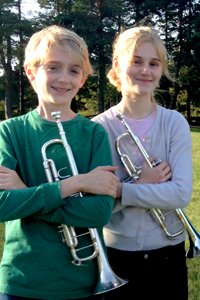 Trumpeters Aled and Matisse Blundell (ages 14 and 16) started playing trumpet when they were 6 and 7, and have been playing together ever since! They have held positions in the Hannaford Youth Program, Guelph Youth Symphony Orchestra, Hamilton Philharmonic Youth Orchestra, Denis Wick National Wind Orchestra, Toronto Youth Wind Orchestra – touring to Los Angeles and Shanghai – and the Toronto Symphony Youth Orchestra, among others. Currently, they play together in Orchestra Toronto. Aled is a 4-time Kiwanis Music Festival Provincial finalist and the 2014 winner of the Grade 10 Brass category. Matisse is a 5-time Provincial finalist, and twice won Open Brass; going on to compete Nationally and winning Second Prize in 2015. This spring, Aled and Matisse travelled to New York to play in Carnegie Hall as part of the Winner’s Recital of the American Protege’s International Competition of Romantic Music. In 2016-2017 season they will appear as soloists with the Guelph Symphony Orchestra, the Stratford Symphony, Cambridge Symphony Orchestra, Milton Philharmonic Orchestra, and Oakville Chamber Orchestras. The siblings study with Jim Spragg of the Toronto Symphony. Together with younger sibling, Maslin, aged 10, they make up the trumpet trio: the Blundell Brass, who recently performed as soloists with the Rose Orchestra. Aled and Matisse love to play, and could not envision a life without music!